For the first time in more than two decades, Atlanta Ballet will premiere a new version of The Nutcracker that will mark a milestone in company history. Two years in the making, this innovative production is designed to surprise and delight all audiences, from the young to the young-at-heart, and from longtime Nutcracker fans to those unfamiliar with one of the city’s most beloved holiday traditions. The Atlanta Ballet Orchestra will perform live at each of the 19 performances held at the Fox Theatre from Saturday, December 8, through Monday, December 24, 2018. Atlanta Ballet’s new production of The Nutcracker is set in a small German village and will tell E.T.A Hoffmann’s traditional story set to the iconic Tchaikovsky score, but will use elaborately crafted and painted scenery combined with advanced techniques in lighting and video projection to enhance the magic of the story. Artistic Director Gennadi Nedvigin’s determination to bring some of the world’s finest artists to Atlanta resulted in a partnership with internationally acclaimed dance maker Yuri Possokhov. Together, the duo attracted a first-class creative team to dream up a one-of-a-kind Nutcracker production. Collectively, this team seeks to create a ballet that will rival a Broadway show in terms of production “fire power,” including awe-inspiring sets, groundbreaking projections, stunning costumes and imaginative lighting. Atlanta Ballet’s The Nutcracker will come to life through the creative collaboration of Possokhov with set designer Tom Pye (Tony Award nominee), costume designer Sandra Woodall (Isadora Duncan Dance Award winner for costume design), lighting designer David Finn (The Knight of Illumination Award winner in the UK) and video/projection designer Finn Ross (Tony Award winner). For more information on Atlanta Ballet’s new version of The Nutcracker and to purchase tickets, visit www.atlantaballet.com/nutcracker. An Opening Night Gala will be held in the Egyptian Ballroom at the Fox Theatre, with tickets starting at $150. 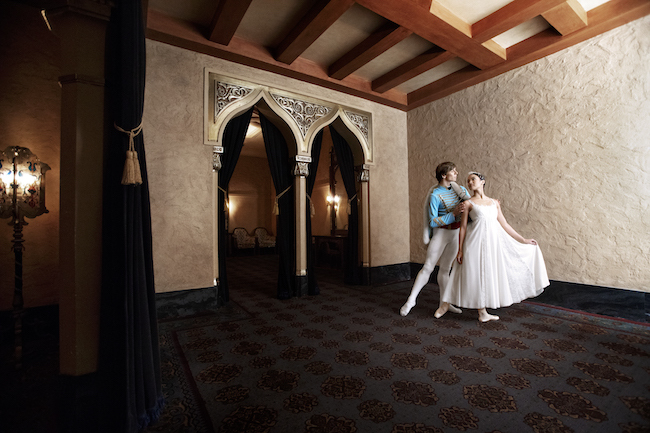 For further details, contact events@atlantaballet.com. Photo: Atlanta Ballet dancers Ivan Tarakanov and Erica Alvarado as The Nutcracker's Marie and Prince. Photo by Charlie McCullers, courtesy of Atlanta Ballet.